Breeding fireflies requires a fair bit of patience and a willingness to learn about their natural habitats and behaviors. It is possible that your attempt to breed these insects will be unsuccessful, because your starter population might not survive the experience of being in the breeding enclosure. If this occurs, seek professional help or review your techniques, modify them, and try again. Fireflies are insects that have captured the imaginations of many civilizations including the Maya and the Japanese. They are technically beetles, which have a relatively short life cycle once they transition from the larval stage. They are animals which are bioluminescent and use this characteristic to ward off potential predators and also to attract mates. There are several different species of firefly, and populations within the same general vicinity tend to be within the same species. Because of a recent dramatic decline in the firefly population, some ecological groups have instituted breeding programs to restore their numbers. Build or obtain a structure which will contain your fireflies while they are breeding. This can be something as simple as a large bottle with air holes, something you build yourself, or a commercially produced insect habitat. Your insects need space to fly and access to air so that they do not suffocate. They also need something that, that the very least has components of their natural habitat, such as leaves, rocks and sticks. Obtain a starter supply of earthworms, snails and other small insects for the fireflies to eat before they grow. You will need to supply up to two years of food, from the time that the fireflies hatch from their eggs until they transition from the larval stage and emerge from their pupae. Procure your starting selection of fireflies. This can be done either via investing in specimens from an insect specialist, or by catching fireflies from a known firefly population. Fireflies are easy to catch at dusk or later in the evening with a simple insect net if you're in the right location. Use your field guide to examine the insects you get through your procurement method. Make sure that your initial population are all from the same species by checking their characteristics against field-guide data. Also confirm that you have a mixture of male and female insects. 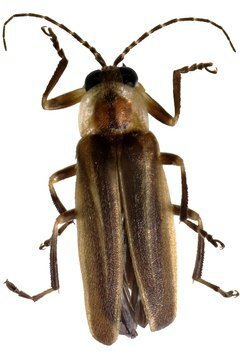 Many species of fireflies have females that do not have wings. Instead, they appear like a slightly larger larval stage insect. Observe your population in their breeding structure and wait for them to lay eggs. Mating happens frequently amongst adults of the species during their adult stages in the summer months. A female lays up to 500 eggs at a time within a few days of mating. The eggs can take approximately 4 weeks to hatch. After the eggs hatch, the fireflies will spend roughly 24 months progressing through their life cycle before pupating and emerging as adults themselves.